Available for any ship name past or present. $35.00 You have your choice of a plain visor, a visor with Commander/Captain scrambled eggs, or with Admiral’s eggs. The ship name, hull number and silhouette are included. We can provide or verify hull numbers, but please indicate the approximate date the person was aboard. Boat names, squadron names, military insignia, etc. can also be embroidered. 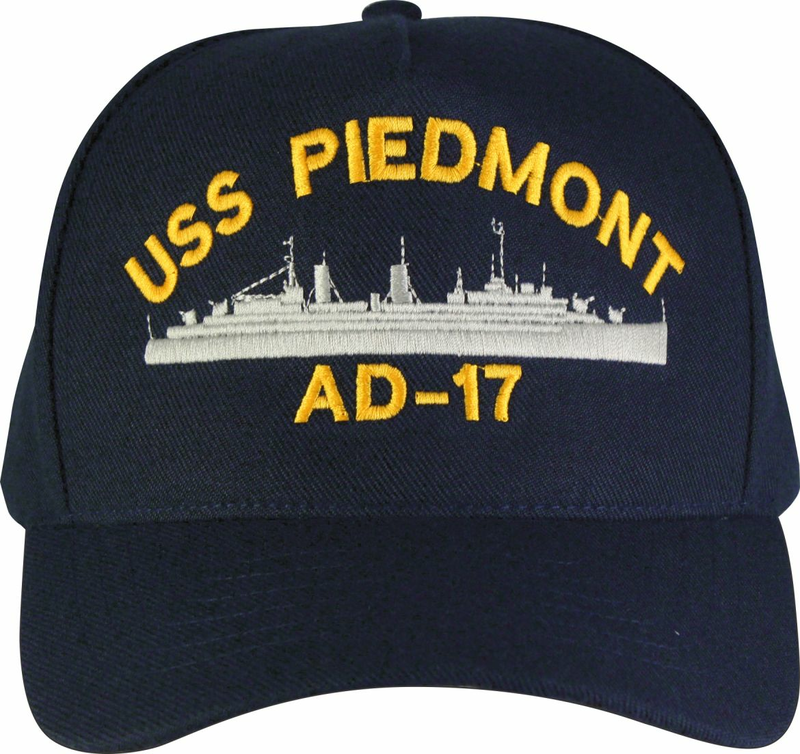 The cap back can be embroidered for an additional $10.00. Other insignia which can be embroidered or substituted for the ship silhouette are: gold or silver dolphins, enlisted or officer surface warfare, aviator, NFO, A/C or paratrooper wings, USMC logo, E-7, E-8, E-9, USN officer crest, supply corps, medical caduceus, Seal Team logo, USCG crest, JAG, U. S. Army crest, USAF crest, etc. For wool caps, add $5.00 to the above prices.